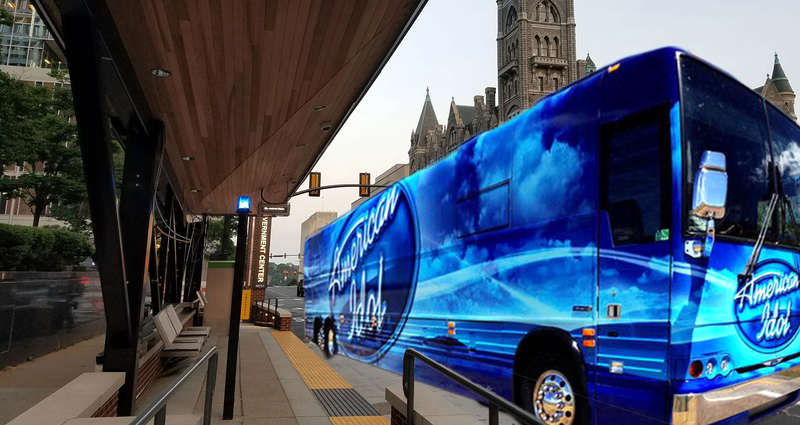 RICHMOND, Va. — In an effort to facilitate the transportation to and from auditions, American Idol has added their official tour bus to the GRTC Pulse system, officials confirmed Monday. “Even though we just spent $65 million dollars on this flagship transit system, we could not cope with the influx of additional riders and had to ask the producers at American Idol for assistance,” Brenda Ritter, director of GRTC routes, said. According to Denise Whitaker, the director of auditions for American Idol, when the strong interest in auditions was realized, the bus was quickly remodeled to hold more passengers. The bus was then added to a special Pulse route. “The demand for the auditions was overwhelming, so we just went ahead and added our tour bus to the local bus route to help accommodate those wanting to try out,” Whitaker stated. The specialized route will include stops throughout the Fan, Museum District, and Church Hill. While the route is expected to help streamline the audition process, Whitaker says it hasn’t come without costs. Apart from the auditory assault, Whitaker has seen positives. The $1.50 fare has helped bribe many people into finding Ryan Seacrest palatable. Whitaker went on to state that while they were happy to aid those needing a ride to the audition, they have had to turn down dozens of applicants who tried to bring bikes and leashed dogs onto the bus. Show your support for true Virginia journalism and visit our online store.